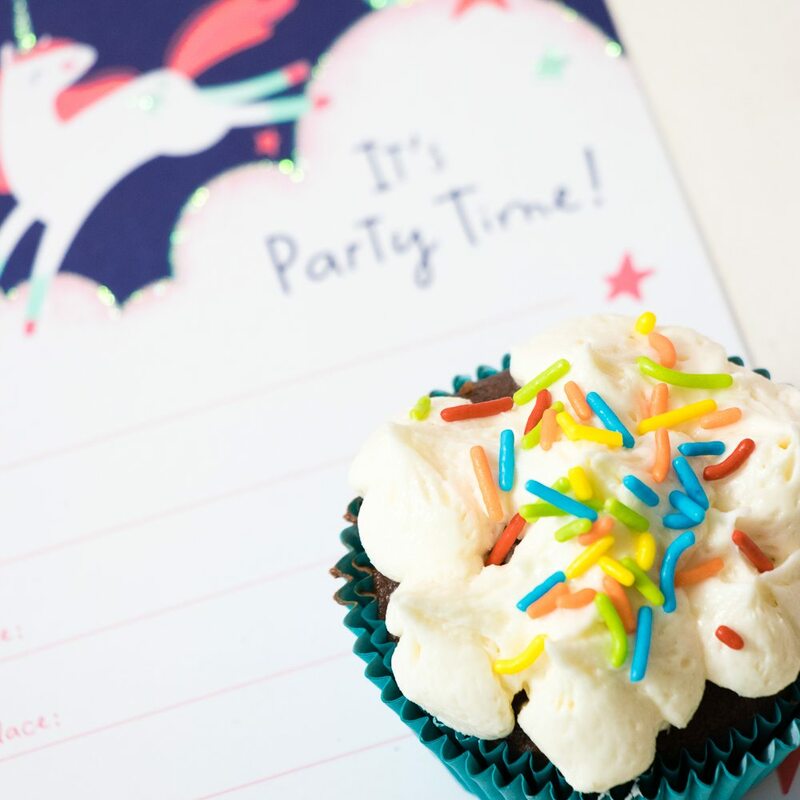 Your unicorn or rainbow party will shine with these little cloudy cupcakes. 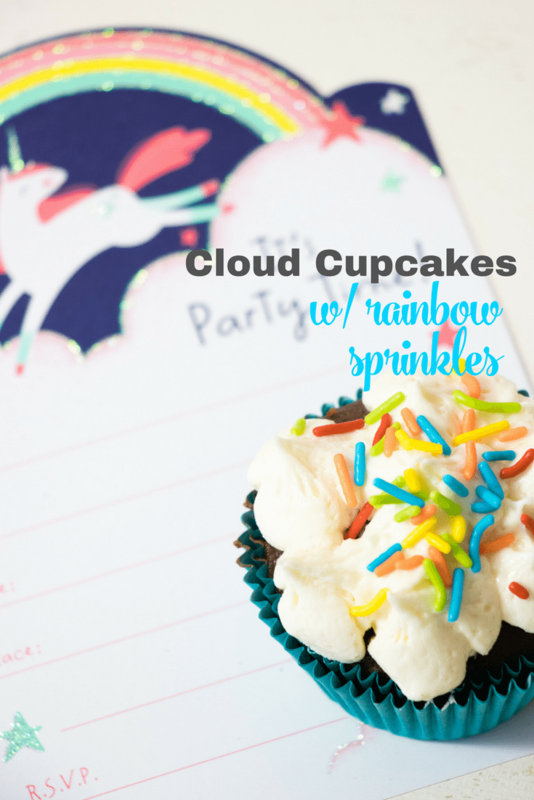 So fun to make Easy Rainbow Cloud Sprinkle Cupcakes! My daughter (9 years old) decorated these, and they were a big hit. 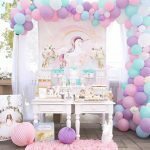 When my niece said she wanted a rainbow party it was really a codeword for another unicorn party, with an adorable spin. She is a lover of My Little Pony, rainbows and everything sparkle. A girl after my own heart. I needed these clouds to be fluffy with a cloudy texture. The combination of my BEST buttercream frosting and the Russian tips I used came out so perfect. 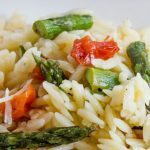 Are you planning a party? Get our fool-proof success tips! First off my vanilla buttercream MAKES all cupcakes taste so good. I make it over, and over, and over again. It doesn’t even matter if you put it on a box cupcake. People who come to my parties are obsessed. 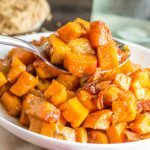 It’s also easy and has only a few ingredients. 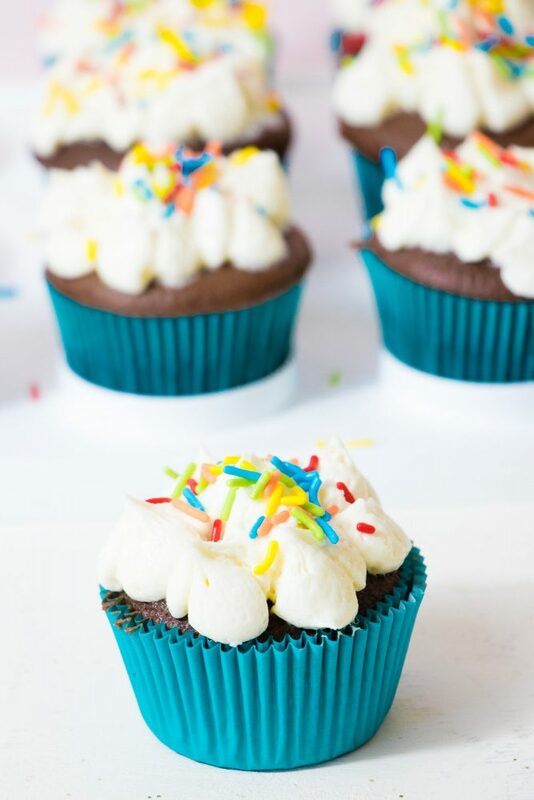 MAKE THE BEST BUTTERCREAM RECIPE! I also used these Russian Piping Tips from Trendline brands. Darci and her team at trendline take products they love and make it better. They make it so easy to order on Amazon, and I am having fun playing around with them. I didn’t get paid to share her product, I just love it! Guess what? 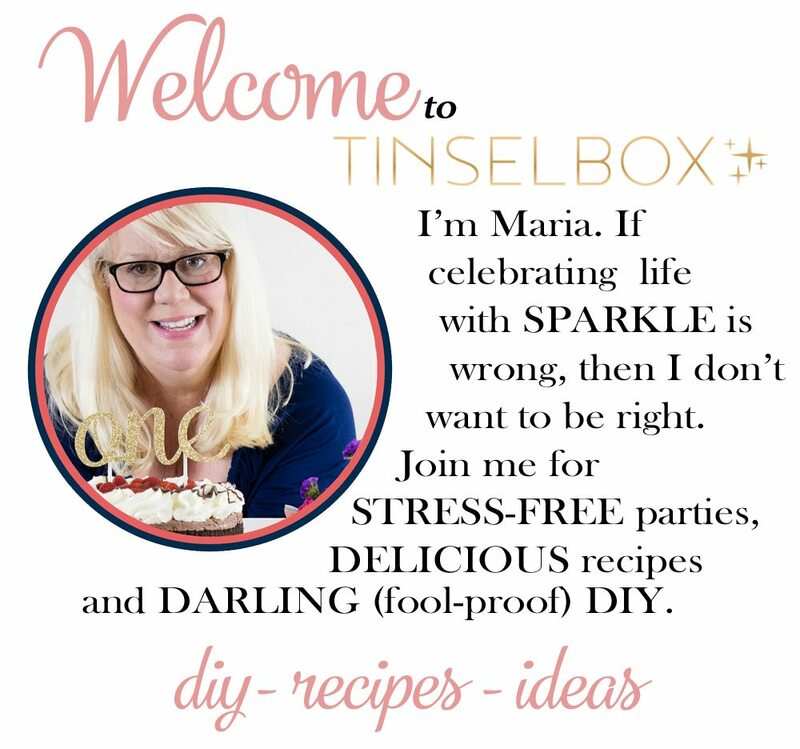 If you buy her tips using code 10TINSLEBOX – you get 10% off. Thanks, Darci! 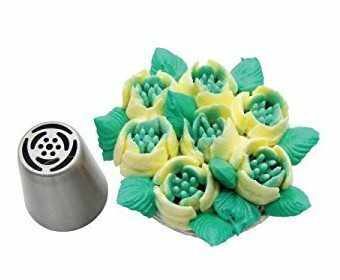 I know these tips make gorgeous flowers with their frosting recipe, and my soft but firm buttercream comes out with a beautiful, fluffy cloudy texture. I haven’t tried making flowers just yet! 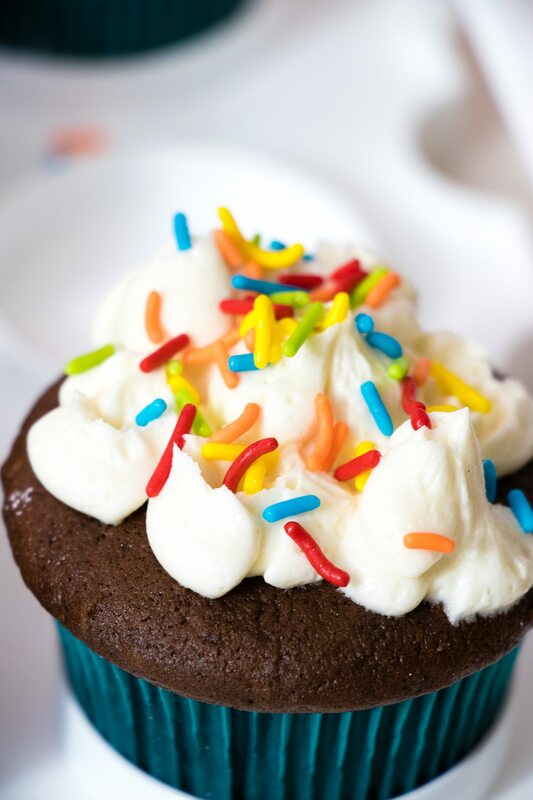 Make your cupcakes. Chocolate or strawberry make a nice base color. Whip up a batch of white buttercream frosting. If you use my recipe, one batch will frost 18 cupcakes with clouds. Sprinkle on your rainbow sprinkles. I ordered custom color sprinkles to perfectly match my party. This party was primary colors instead of pastels. If you purchase this set of russian tips, then this is the best one for your clouds. You can also use your own tips and just experiment with textures and shapes. Don’t you love when a cute idea just comes out perfect the first time? 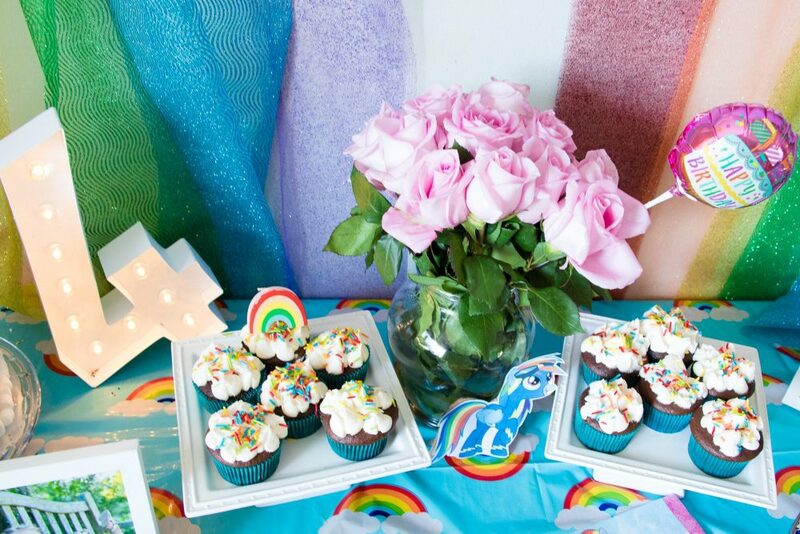 This is something anyone having a rainbow party can try. Feeling ambitious? 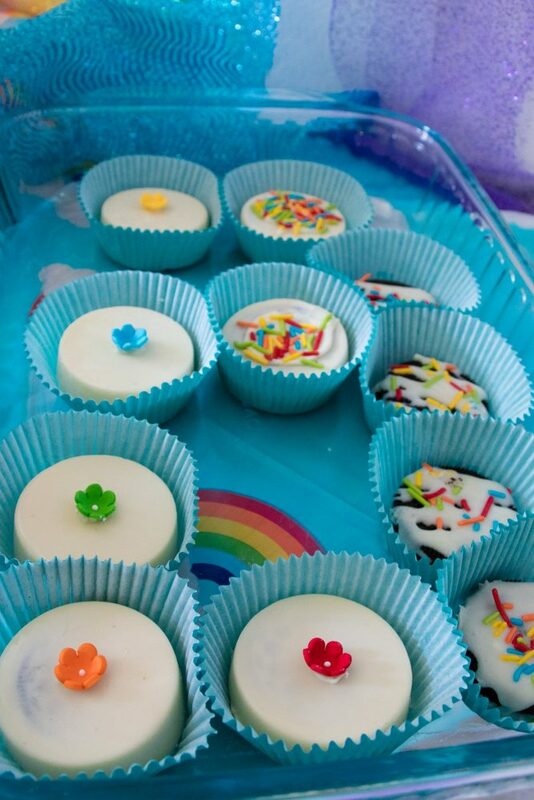 We also made our chocolate covered oreos using rainbow floral candies and sprinkles. I wish I had a better picture, but these were eaten as soon as they hit the tablescape.